Have companies defined outstanding customer service? In his famous book, Built to Last, Jim Collins observed that companies that endure over a long period of time possess “cult-like cultures.” This is certainly true in customer service. Think of the companies best known for outstanding customer service and you’ll almost certainly find a strong, customer-focused culture. These cultures are anchored by a clear definition of what outstanding customer service should look like. It gives employees, managers, and executives clear direction when making decisions that impact customers. Without a shared definition, it is very difficult for companies to provide consistent service since everyone has their own idea of what's best. I recently conducted a survey to discover whether companies have created their own unique definition of outstanding customer service. 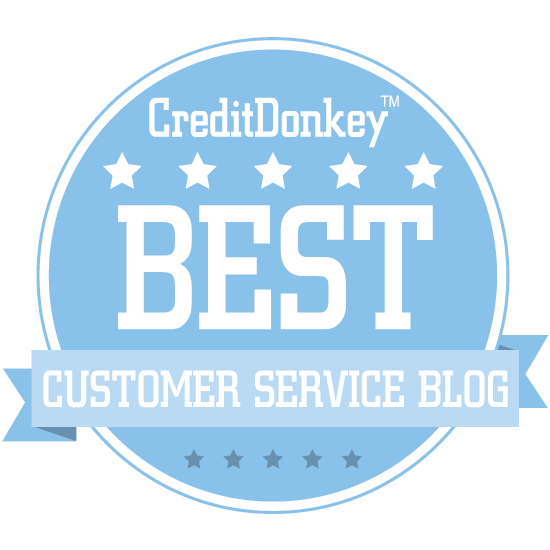 Is outstanding service clearly defined? Only 62 percent of respondents were positive that their organizations have defined outstanding customer service. Has your organization created its own definition of outstanding customer service?These results indicate employees at a large number of companies may not have clarity when it comes to how they should treat their customers. Yes. The larger the company, the more likely it is that outstanding service has been clearly defined. 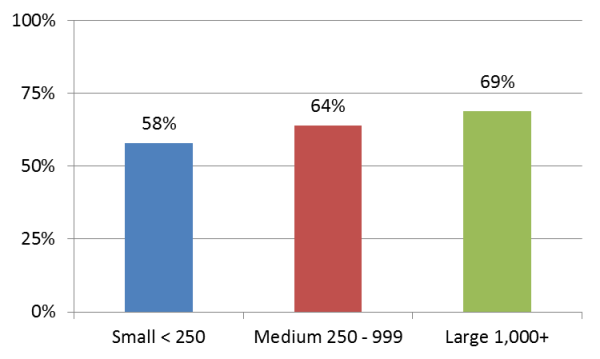 The chart below shows the responses from small, medium, and large companies (based on number of employees). 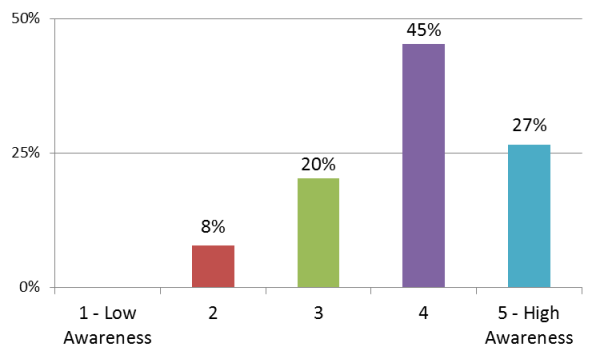 Percentage of companies that have defined outstanding service, arranged by number of employees. What do you think is the explanation for such a big gap between small and large employers? Are employees aware of the definition? Respondents that indicated their company had defined outstanding service were asked to estimate their employees' awareness of this definition on scale of 1 - 5. 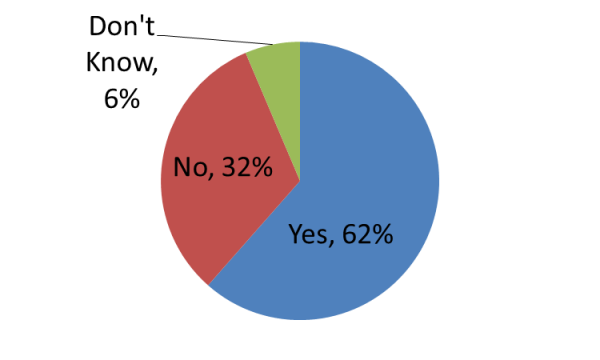 The responses indicate awareness is generally high when a shared definition exists. There wasn’t any variation among companies of different sizes so I'm showing the aggregrate data. If your company has a definition of outstanding service, how aware are your employees? This question was tricky because respondents were asked to estimate their employees’ awareness of their company’s definition of outstanding service. Do you think the results would be different if we actually quizzed employees in each of these companies? In my own experience, and this is purely anecdotal, leaders tend to overestimate how well their employees know the company's definition of outstanding service. If your company doesn't yet have a clear definition of outstanding customer service, I suggest you create one right away. 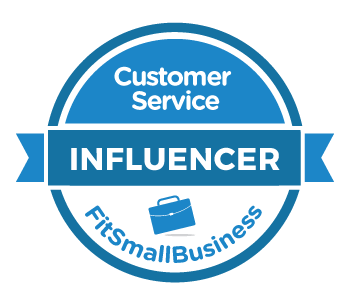 You can use my customer service vision worksheet if you're not sure where to begin. If your company does have a clear definition of outstanding customer service, you've taken the first step on the journey to a customer-focused culture. You can use this guide to keep your company moving in the right direction. Survey: Has your company defined outstanding service?